A ‘vegout’ experience featuring Rijk Zwaan varieties and a visit to the company’s Fijnaart facilities were highlights of a European tour for 11 young Australian vegetable growers recently. The annual AUSVEG Young Grower Industry Leadership and Development Mission, which ran from October 1st to 13th, provided the group the opportunity to visit leading growers and agribusinesses in the Netherlands, Germany and Belgium. The objective of the tour is to take young Australian vegetable growers to other regions in the world to discover new techniques and open their minds to opportunities and innovations in horticulture. AUSVEG is the peak body for the Australian vegetable industry and through Rijk Zwaan Australia’s close partnership with AUSVEG, Rijk Zwaan had the opportunity to network with the growers through a site visit and a dinner hosted by its social initiative, Love My Salad. The ‘vegout’ experience was presented by Love My Salad chef, Martijn Korving at his resturant Zino Urban Bistro. 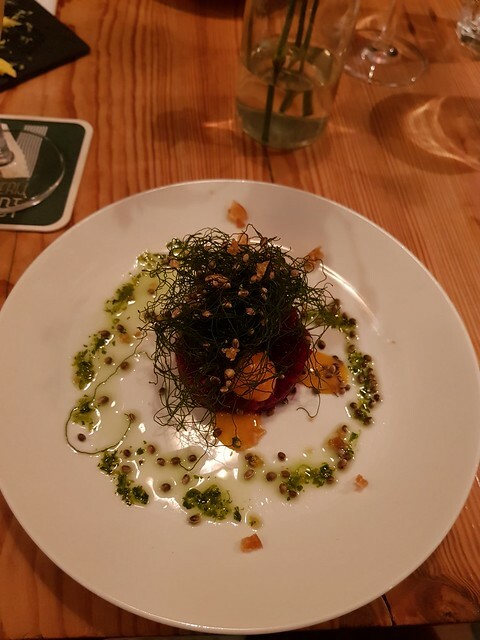 The restaurant is located on the same street where founder Rijk Zwaan established his first shop selling vegetable seeds. The vege-centric menu featured dishes that were created using the same vegetables that the growers produce in Australia. AUSVEG Assistant National Marketing Manager, Sam Clayfield, said the group enjoyed the experience. “The ‘vegout’ concept is fantastic. It highlights all that is great in fresh produce and shows the amazing things that can be done to make delicious, healthy meals from local produce,” Sam said. “A particular highlight was the Cauliflower Steak & Huacatay Bearnaise with Crunchita lettuce and Celeriac crème,” he said. The following day the group visited Rijk Zwaan’s Finjaart operations for a tour of the facilities and trial sites, as well as a presentation on the multi award-winning Knox™ trait. The tour was a great opportunity for Rijk Zwaan to showcase innovations in vegetable seed production. “We visited the Rijk Zwaan facilities to learn more about the company’s breeding program and the different varieties available,” Sam said. “We experienced some traditional Dutch weather but braved the rainy conditions to walk around the trial site and see the different varieties of seedlings available – this was certainly a highlight of the trip,” he said.